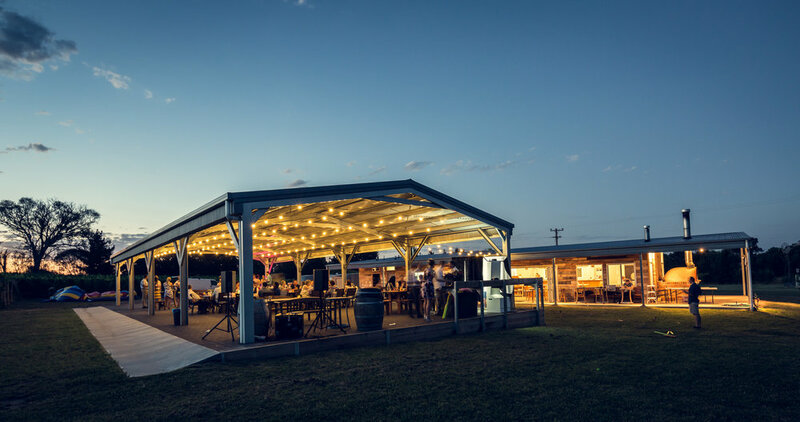 "A relaxed venue, set amongst the vines." One of the most common questions we get asked about, aside from "are you available on our date", is our thoughts and recommendations for venues. So with this in mind we plan on doing a series of articles about some of the amazing venues we get to photograph, from our point of view. Four Winds Vineyard is first cab off the rank, or UBER if you prefer. Like most vineyards, they have a great back story. We won't kill the story here as its best discussed with the awesome staff while having a wine tasting, however the short version goes a little like this. The Four Winds story began with a miner and his wife who lived on the property in a slab-hut, just north of Canberra and east of Murrumbateman, on the corner of Murrumbateman Road and Patemans Lane. In 1998 they planted their thirty-three acre property with 5 varieties of grapes (Shiraz, Riesling, Cabernet, Merlot and Sangiovese). The atmosphere on the vineyard is relaxed and peaceful, with all the facilities in an open layout. There is a beautiful open air chapel area just a short walk from the huge open reception area, looking into the vines. They specialise in wine, platters and wood fired pizza weddings. And all you can eat pizza as well which made me a happy photographer. The staff are very friendly and helpful, with their main objective of making sure everyone has fun. Photographically it is a lovely venue with several shoot locations all within walking distance from the main building. These include a rustic swing, vine covered wall, open field, tree lines and most importantly the grape vines. With very little traffic I have also used the road in front of the vinery for some cool shots. I am always a happy photographer, but I smile that little more when I know the venue is Four Winds Vineyard.